Don't stop when you're tired. STOP when you are DONE. And we once again proved it as a team. Every single moment and every tiny step we took for making this two Mega Robotics event a BIG SUCCESS has finally paid off!! Let me walk you through this spectacular journey of our success. It was just a month away for the BIG day. The rush started to kick in. The clock didn't stop for us. Know what?? we as a team worked round the clock. With the colossal teamwork of SP Robotic Works, this Robotics Festival created a breakthrough in everyone's heart. Within a few hours of time, the registration started to pour. The value each team added to make this event a success is mind-blowing. Around 500+ Robotic kits reached the customers on time for the SPARC 2019 - India's First Robotics Premier League. The thrill and excitement are never-ending for the team SP Robotic Works. Jan 6th 2019 - The stage is gearing up!! A day to remember. 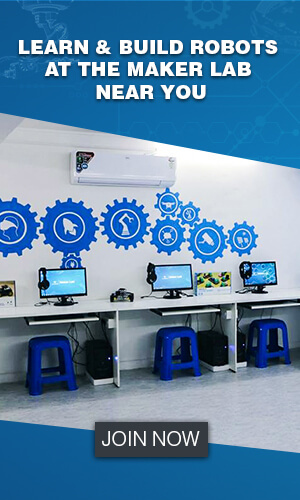 It was 10:00 am in the morning, slowly the crowd started to hit and the venue got charged with these colorful little Makers of SP Robotics Maker Lab for the SPARC 2019 - India's First Robotics Premier League,Chennai regional round at Santhome Higher Secondary School, Mylapore, Chennai. All of a sudden the whistle incited to blow at the arena and an intense energy started firing up all over the stadium to grab the Winner of Chennai regional round of SPARC 19 - India's First Robotics Premier League. This time SPARC 19 - India's First Robotics Premier League will be conducted as a regional round for providing an opportunity to all the enthusiastic peeps out there to showcase their skill. The next regional round which is at Bangalore will be announced soon. Take a look at this classy picture of all the Makers of SP Robotics Maker Lab across India at the SPARC 19 - India's First Robotics Premier League. Does the stage looks terrific?? 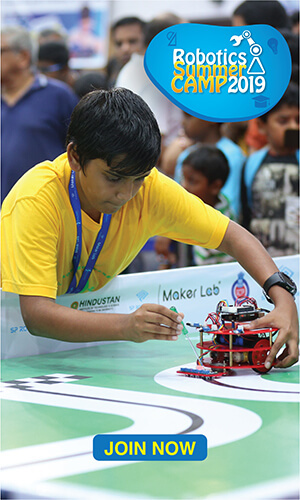 Meet the scorching robotic team Robo Grimlock V1 from SP Robotics Maker Lab Kottivakkam. These little Makers rocked the stage by their impeccable performance and won the crown of Chennai regional round of SPARC 2019 - India's First Robotics Premier League. Cheers to the Champion of Chennai regional round of SPARC 2019 - India's First Robotics Premier League. The yellow team Altron Robo Warriors from SP Robotics Maker Lab Puducherry grabs the Runner up 1. You guys rephrased the word yellow to the new mellow!! The red team Robo Sapiens from SP Robotics Maker Lab Kilpauk grabs the Runner up 2. What a stylish pose from these rocking stars!! Ever heard of the gateway to the future?? 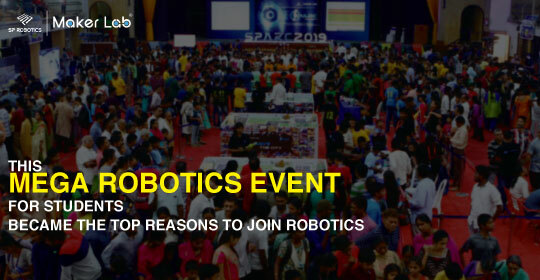 Yes, The Robot Expo 2019 conducted by SP Robotic Works has formulated the people's thought process in Robotics education. In this Robot Expo, various sector Robots such as Agriculture, Hospitality, Transportation, Manufacturing, Security and Safety, Aerial Navigation and more were displayed and rejoiced the visitors. This Robot Expo is solely to enrich with ideas of the future. More than 10000+ enthusiasts enjoyed this Robot Expo with their family and added value to their day. 4 . THE FESTIVAL BECAME SENSATIONAL NEWS NATIONWIDE!! The video coverage made by Polimer News on Robot Festival. Fun + Adding value = Robot Expo. Hear the public opinion on Robot Festival on how useful this Robot Expo benefited people, and how it can be implemented in real life. A place to play soccer, drive your own car, gain knowledge and explore a lot of cool stuff in ONE place. The biggest Robot Festival for the technology lovers!! Here is the picture of the rockstars of SP Robotic Works behind the success of this Mega Robotics Festival. Well done guys!! You guys deserve a standing ovation. Inspired by our team SP Robotic Works success story?? Want to be the part of more inspiring stories in future? ?